The last class of the day was almost over, gym class. The gym was full of athletes, almost the entire boys’ basketball team. Then there was me. I was the kind of student always the last picked on the team. But right then, I was the last person on my team still standing on the dodgeball court, facing down a player on an actual sports team. You get the picture. My team hung their heads. My opponent threw the last ball my way expecting an easy win. I was bursting with all the pride of the Jamaican Bobsled team. But like in dodgeball, sometimes the one you pick last is the one that surprises you the most. Everybody knows what it feels like to be overlooked, but I think community colleges are resident experts on the subject. Most community colleges aren’t the first pick on an aspiring high school senior’s list. But like in dodgeball, sometimes the one you pick last is the one that surprises you the most. Here are some myths you might think about these often overlooked players in higher education. Myth #1: Community College has no student life. Not many bother to ask about the art program, sports, and fun activities on tours at Spokane Falls Community College (SFCC). After all, how much can you expect from a school that is so affordable? One of my personal favorite activities offered through the Art Department here was the lecture from Chip Thomas back in spring 2014. He is living with the Navajo tribe in Arizona as a doctor by day and now a renowned street artist. He even put up a display in our art gallery. "I’m aspiring to a career in medicine, but I also love art." This was inspiring to me because I’m aspiring to a career in medicine, but I also love art. It was exciting to meet someone who could combine those passions in a meaningful way. Myth #2: Professors at community college are under qualified. This myth might look legitimate on the surface, but it couldn’t be further from the truth! After all, you don’t have to have a PhD to teach at community college. It is understandable to want an expert in their field, right? Truth: The minimum requirement to teach at SFCC is a Master’s Degree, but there are PhD’s teaching as well. Your professors are definitely qualified, and you'll have to work hard to impress them. Bear in mind that at big universities TAs with a bachelor's degrees routinely teach similar level classes - so don’t think you’re guaranteed a doctorate professor even at an expensive 4-year. I was taught by doctorate holders for my whole bio series at Spokane Falls Community College and that is not an uncommon experience here. I found professors that made themselves available to help me at community college and I’m grateful for that experience. "Don’t think you’re guaranteed a doctorate professor even at an expensive 4-year." Once I asked my Biology teacher Ruth Kirkpatrick why she chose to teach at a community college. From my experience, I’m sure many of the faculty, if not most, at my school would say the same thing. She really inspired me. Community college professors aren't teaching for the prestige, they're teaching for the students. She really helped nurture my passion in biology. She even sends scholarship information to her students from her previous classes because she cares about our futures. But it wasn’t just her, community college professors aren't teaching for the prestige, they're teaching for the students. They are understanding of students who are dealing with stressful life situations and work hard to help you succeed. That made all the difference in my experience and really helped me push myself when success seemed out of reach. Myth #3: Community college is easy. I really don’t know where this myth comes from, but it is very common. It really goes hand in hand with myth #2. I hear it so often in conversation that I can’t emphasize this enough. Truth: Community college has fully accredited, and challenging classes. Your college experience depends on the level of class that you take compared to your ability to do the coursework. Plus, community college honors programs can be extremely advanced. My fellow honors student Hanna told me “I had taken chemistry in college before but the chemistry at SFFC covered the material in more depth than my previous experience. Many students I’ve met approach community college with the same attitude as they approach high school. That is a mistake." "The transition from high school to college is a big jump." I really can’t say it better. The transition from high school to college is a big jump no matter where you go -- but with the right support it is manageable. Myth #4: Community college is unsafe. Community colleges are dedicated to helping people improve their lives, and that means they’re open to people with all sorts of life circumstances. Unfortunately, a lot of fear is directed at parolees trying to rebuild their life. Some people worry about how “those students” will impact the campus. Truth: Most community colleges are really aware of the potential problems that come to a campuses with high admissions rates. I’ve met some of “those students” and found that they often work the hardest because of their deepened perspective on life. I learned a lot from them. The reality is that no school is completely safe but most schools take active measures to help their students. "Most schools take active measures to help their students." Check your campuses right-to-know statistics or you can search campus security statistics. Of course every school is different, so you should see for yourself. You might be surprised how low the rates actually are. Myth #5: Your credits won’t transfer and it will be a waste of time. The transfer process is notoriously difficult. This myth is grounded in the truth that transferring isn’t always simple and intuitive. But this myth is only partially true. Truth: Transferring credits is not an insurmountable challenge, especially if your school has a program specifically designed to help you transfer. Transfer checklists can make the process easier, too. Most 4-year schools have clear transfer equivalency guides, so get the ones from your top schools. As a general rule, in-state public schools take more credits than do private institutions. Do your research early! "As a general rule, in-state public schools take more credits than do private institutions." Most people will tell you it'ss good to get your Associate’s Degree. Many private schools will give junior standing to students that accomplish this. Bonus tip: take a complete series to increase the likelihood your credits will transfer. Does it take more effort to make sure your credits transfer? Sure, but it’s not that difficult to do, especially with the help of a trusted advisor. Myth #6: You’ll be completely on your own. I came from a small private school and was nervous to make the transition to a “big” school like the SFCC. When I heard about the honors program I was excited for the extra support I’d get. Truth: There is a lot of support available, you just have to make sure to use it! I had no idea just how much my advisor would help me. She taught me how to ask the right questions, send the right emails, and find my own answers. Your advisor might be the best part of college. You probably know that an advisor will help you build a schedule and register for your honors classes. But my advisor, Eliza, did way more than just that for me. She helped me write my transfer application essay, emailed scholarship opportunities to me weekly, introduced me to professors by email before I took their classes, and wrote me a solid letter of recommendation. "I can safely bet that your honors advisor will surprise you with how far they will advocate for you." I can’t guarantee your honors advisor will do exactly those things. But I can safely bet that your honors advisor will surprise you with how far they will advocate for you and I dare you to see for yourself. I now consider my advisor to be my friend -- we even went bowling together! So, are you rethinking community college? Even if community college was your last pick, I hope you see now that it deserves a second, serious look. "Don’t mistake perfectionism for excellence." Sometimes community college students get a bad reputation. We aren’t known to be perfectionists. Often, we can’t afford to be due to life circumstances. But don’t mistake perfectionism for excellence. In my experience, community college students tend to have a special sense of optimism and grit and we encourage each other through hardships. Perhaps that is is why it is called community college. American Honors students get that, and we work hard to create that kind of expectation on our campuses. Tatiana studied as an American Honors student at the Community Colleges of Spokane before transferring to complete her bachelor's degree. 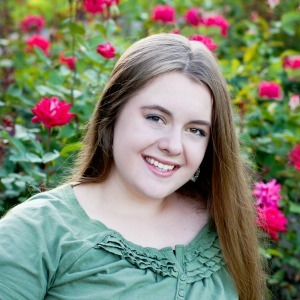 She writes about community college and the importance of believing in yourself. Is College Worth It? 6 Ways to Know. Want more great tips like this? Get them delivered directly to your inbox.